Home News and Updates Is the end of Facebook nigh? A few days ago we were met with some unpleasant news for some of the social networks heavyweights in their fields. According to the latest report from the firm GlobalWebIndex, the local social networks have lost a huge percentage of their active users. In Spain, Tuenti has lost 58% of its audience in only 6 months, an unequivocal sign that something is changing about users, who opt increasingly for other platforms. Facebook could follow this trend. These reliable data are the precursors of the first medium-term estimates—and they could not be more worrisome. 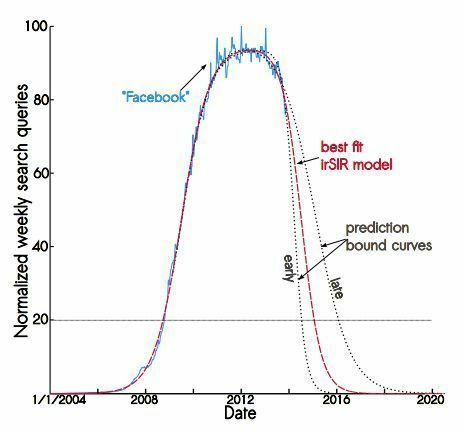 A group of researchers from Princeton University has applied a classical statistical model from the field of epidemiology to the evolution of Facebook, where the number of active users is compared with that of the “possible infected,” “already infected,” and “recovered” from the process, using the so-called SIR model. 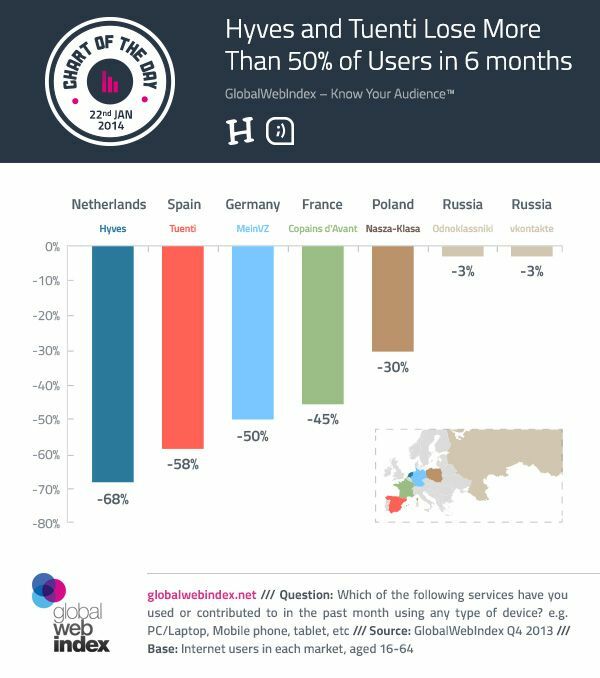 The GlobalWebIndex report precisely reveals the 3% decrease in Facebook users, which contrasts with the growth of 2, 6, and 9% of Twitter, Google Plus, and LinkedIn, respectively. The biggest runaways are Instagram (23%) and Reddit (13%). Minimalist and light networks are in fashion, with Tumblr and its more than 45 million users being the launchpoint for all these years. It is Tumblr itself that provides a good explanation for the changes that the sector is suffering. When it was bought by Yahoo in May 2013, it reached a monthly peak traffic of 47 million users, a figure it hasn’t surpassed since then. Do users abandon social networks as soon as they start getting used by everybody? Look no further than the new trend among American young people to move their activity to Instagram in order to “flee” their relatives on Facebook. It’s no coincidence that Instagram added an option to send private messages a few months ago. Now it all makes sense! Perhaps in the case of Tuenti and the other local social networks it’s the conjunction of a series of factors on top of the boredom of the users. On the one hand is the proliferation of mobile devices and countless other IM offerings like LINE, Vine, or specialized apps like Pinterest that let you dig deep into your own interests. On the other hand, there is the maturity of the target audience. While it’s true that Tuenti had been a favorite among adolescents, the generations that discovered it are already getting older and migrating to other more cutting-edge and heavily advertised services. There has been no generational replacement or continuity, and that is something that might happen to Facebook if it does not preserve its freshness and sense of novelty. At the moment, the revamp of Facebook Messenger has been a great success, reviving the mobile market and orienting its business strategy toward such devices. The future of social networks seem to revolve around two principles: minimalism and portability. Just have a look at the enormous increase in Android downloads on Uptodown throughout 2013 to confirm the first trend, and the aforementioned success stories to verify the predilection for clear and highly specialized services. It remains to be seen if the sector heavyweights will learn to adapt to modern times.